DVD Player is Netflix ready if you have an account with them. Home has a gas fireplace but at this time it is not working. Stayed for a ski weekend with two families. Plenty of space and very clean. The listing says linens are provided - but the owner John let us know towels are not provided (which was fine, we made sure to bring our own). We thought there were not nearly enough linens/pillows provided to be comfortable (two of the beds only had comforters, no top sheets and pillows were paper thin and only one per bed/side). Also, upon arrival we found out that the fire place was not functioning which was a big disappointment and was something we were not made aware of beforehand. Overall, the location was great and the house itself was good, but much more could be provided to make renters comfortable in the future. We had 2 families stay. Over Xmas week. House was clean and close to okemo owner is very responsive. This house was everything we were hoping for. Clean, private but close to town, and plenty of space for bigger groups. Would definitely stay here again. Wonderful experience during our stay. House is awesome and had everything we needed. Starting from fire pit to every small utensils. Planning for a second trip during this fall season. Glad you enjoyed. Hope to have you again. Immaculate and spacious home for great family getaway! This spacious home was the perfect getaway for our family. Large kitchen and dining area, bathrooms, plenty of storage and comfortable beds as well as deck to sit on made everyone feel at home - oh yes, how can I forget the pool table that provided plenty of entertainment as well. The owner was easy to get in touch with, friendly and answered any questions I had. We'd definitely go back again!!! Immaculate home, very friendly and accommodating owner - will return! The photos of this home do not do it justice. It is spotless and incredibly comfortable. The three floors make it perfect for accommodating groups or multiple families. The home is equipped with everything you need aside from bath towels (there ARE plenty of kitchen towels! ), including a fully stocked kitchen. 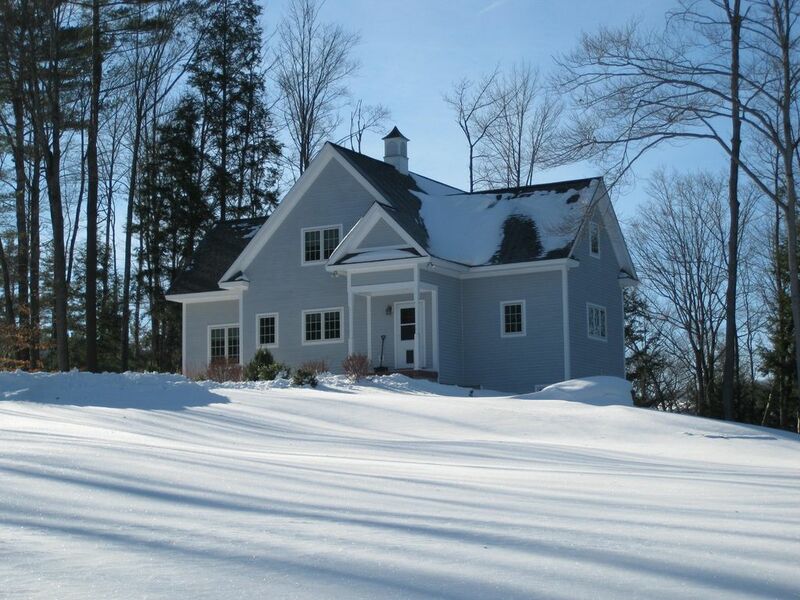 It is the perfect rental property, only minutes from Okemo! Holiday stays require a 3 night minimum . A $500 - $1000Security/ Damage Deposit is required. Check in is 4 PM, check out is 1PM. Early Check in and Late Check out subject to Availability. Acceptable payment includes Visa, Mastercard, and Discover. Personal checks accepted but must be paid in full. Online payments made through Homeaway , Cancelations Full refund 30 days prior to arrival.